September 26, 2009- Once again this morning at 06:34 all 3 Schuylkill Haven stations as well as District 41 (Cressona) were dispatched to 1544 Route 61, Cressona Mall (Staples) for an automatic fire alarm. After an investigation it was determined to be another false activation. Chief 41 (Mansell) cleared all units after about 20 minutes. September 25, 2009 – At 6:39 all 3 Schuylkill Haven stations along with District 41 (Cressona) were dispatched to Staples at the Cressona Mall, North Manheim Twp, for an automatic fire alarm. After searching for the cause of the alarm it was determined that it had been a false activation. Cheif 41 had command and cleared all units from the scene. Time out was about 20 minutes. September 24, 2009 – At 17:45 Stations 1, 2, & 4 were dispatched to the area of 1618 Route 61 (Tigers Den) for a reported vehicle leaking fluids. County advised all incoming units and Chief 723 that a gas pump had trouble shutting off and spilled gas on the ground. Crews used oil dry and absorbent pads to clean up the mess, and all units were cleared after about 15 minutes. 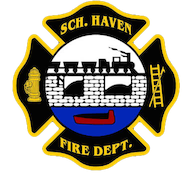 September 23, 2009- Just after midnight, once again all 3 Schuylkill Haven stations were dispatched to 252 Dock Street, Schuylkill Haven Boro, at the Jerusalem Lutheran Church for an Automatic Fire Alarm. Once everyone arrived on scene again, an interior investigation was done. After about 25 minutes, it was determined to be a faulty alarm and all units on scene were cleared. September 22, 2009- At 14:42 the S.H.F.D. was dispatched to 252 Dock Street, Schuylkill Haven Boro, at the Jerusalem Lutheran Church for an Automatic Fire Alarm. Chief 723 (Donatti) was on scene quickly and advised the incoming units that it was the same problematic sensor, better known as “AC # 1”. Crews were split up, with one doing an interior search and another checking the roof. After a brief investigation, it was found to be a faulty detector and all units were cleared within 15 minutes. September 17, 2009 – At 1:57 Stations 1, 2, & 4 were dispatched in the area of 18 News Street (Hilltop Trailer Park) for a reported transformer fire. Upon arriving on location, Duty chief 722 (Sattizahn) advised that the top of the utility pole was indeed on fire. Engine 737 and Ladder 725 assisted with blocking the roadway until the PP&L electric crew arrived on scene to make repairs. Time out was about 1 hour and 35 minutes. September 11, 2009- Just as Engine 733 was clearing the MVA on Route 61, they were “tapped” out again. This time traveling to Pine Grove Boro to cover for them as they were busy on a smoke in a structure at the Pine Grove Elementary School. Engines 732 and 733 responded within seconds of the dispatch and took care of the move up assignment.